Once the capital of the Hindu empire, Hampi is an astonishing religious and historical place located nearby Hyderabad city in India. 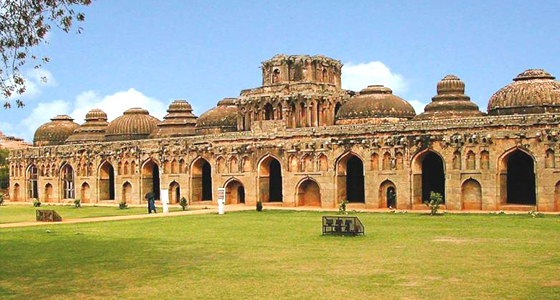 The ruins of Hampi are even today known as a huge open museum of history, religion and architecture. Packed with massive palaces, fortifications, temples, aquatic structures, market streets and other interesting historical monuments, the city is listed among the World Heritage sites of UNESCO. Visit the amazing Chandramauleshwara temple, Hazara Rama temple, Krishna temple, Vittala Temple, Hemkuta group of temples and Malyavanta Raghunathswamy temple to make your trip a memorable one. 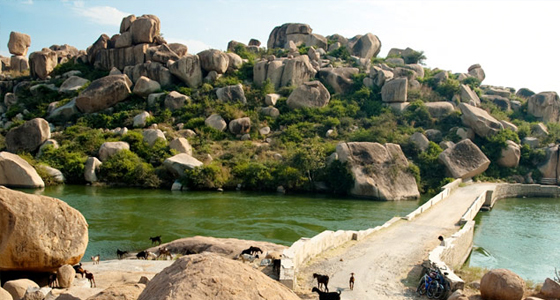 At Tour My India, we are known for offering an exciting Hyderabad Hampi Weekend tour that will take you far away from the busy city life. 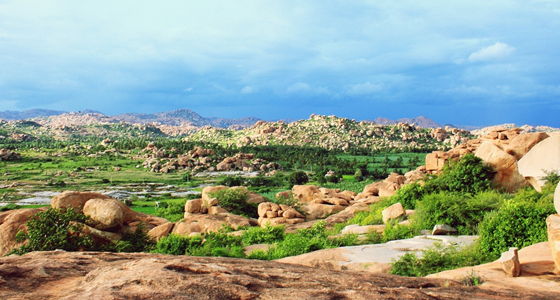 Our exciting 2 nights and 3 days weekend tour to Hampi from Hyderabad will leave you with many picture perfect shots. In the morning drive to the cultural and religious city of Hampi. On arrival in Hampi, check into the hotel for an overnight stay. Hampi, the place of the renowned Vijayanagara Empire was the capital of the largest empire in post-mogul India, covering many states. The ruins of Hampi of the 14th Century lies scattered in about 26 sq. km area in the middle of huge vegetation and rocks. It has various outstanding Hindu temples with some vedanta mythology inside the temples. Some of them are even today used as active worship places. After breakfast, we will leave for a full day excursion around Hampi. We will visit the ancient ruins, which are spread over 26 sq km area. Many of these ancient ruins lie in and around Hampi Bazaar and the nearby riverside area that also comprises of the most sacred enclave of temples and ghats of the city. 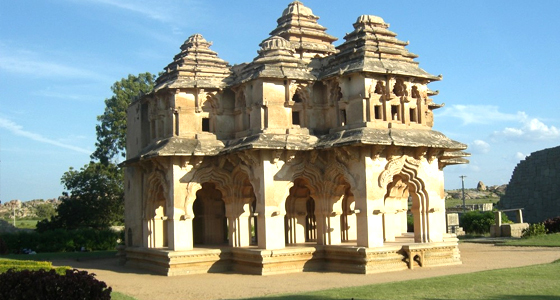 Here, we will also visit the highly religious temple of Chandramauleshwara temple, the Malyavanta Raghunathswamy temple, Hazara Rama temple, Hemkuta group of temples, Krishna temple and East of Hampi Bazaar, which is the UNESCO-listed 16th century Vittala Temple, the undisputed highlight of the ruins. In the afternoon, we will continue our journey and visit the Anegundi village by traversing the gushing Tunga Badra River on a coracle is an experience, which offers a glimpse of the traditional lifestyle in Karnataka. In the evening return back to the hotel for an overnight stay. After breakfast leave for Hyderabad. On arrival at Hyderabad, we will drop you at your own place.